Millions of dollars in property tax breaks will help Kraft Foods expand its Columbia operations. Plus, Boone County Commissioner Janet Thompson says $114 million in special bonds approved by the commission means all the local governments involved have agreed to the move, even though it will cost them some revenue. “There are other benefits to our community that we as a group believe are more important,” says Thompson. If the facility falls below 300 jobs, Kraft must return the money saved on property taxes. Thompson says it was a priority to ensure that Kraft sticks around. “Specifically, that we were guaranteed at least 300 good jobs. Not minimum wage jobs, but good jobs that families could exist on here in Boone County,” says Thompson. 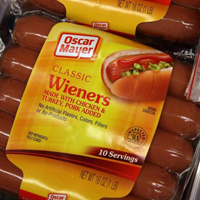 She says it will be the only plant in the nation making Oscar Mayer hot dogs.